The protest tent in Kilinochchi. They sit when it rains, and they sit when the hot wind off the A-9 highway blows sand into their makeshift tent. They’ve been sitting for over 200 days now in Kilinochchi, protesting the loss of their family members. They are mostly women, and they say they have one thing in common: they all lost their loved ones in the final days of the war, in 2009. Some of their sons and husbands were fighters for the Liberation Tigers of Tamil Eelam, they said, who surrendered after the Army’s final offensive. Some were just civilians, picked up in camps for internally-displaced persons or loaded onto buses and never seen again. The mothers have been searching for answers ever since, but a half-dozen government commissions set up over the years to address their questions have given them nothing, they said. They say their demand is basic: they want to know if their sons, daughters, parents, husbands and in-laws are dead, or if they’re alive somewhere, in a prison or detention camp. Not knowing whether their family members are dead or alive plagues the mothers. Many believe that their loved ones are still alive somewhere, and if they were released, they could come home and help take care of their shattered families. In the absence of truth, all they have left are their final memories of their loved ones. On a recent afternoon, surrounded by about 25 other mothers, Thangavelu Sathiyathevy recalled the last time she saw her family. She said she remembers the day exactly. “This was May 18, 2009. We were in Vadduvakallu, and there were buses taking people away,” she said. Thousands of displaced people had gathered on the beaches there, seeking safety from the fighting.Vaddavakallu was technically in a no-fire zone. Sathiyathevy said she was taken to Manik Farm, an IDP camp near Vavuniya. But she has never seen or even heard from her family again. The children were 2, 9, and 10 years old. Sivayogam Ratnaraja said she and her family was also taken to an IDP camp in Vavuniya after the war. In June, her son Ratnam Ratnaraja came to visit them from the University of Moratuwa, where he was studying engineering. But after he left the camp, he was arrested by local police. Ratnaraja said she was never given a reason for his arrest. But she has a suspicion. Her elder son, Ratnam’s older brother, was an LTTE cadre and died during the fighting. The Police or an informant might have known this. She said shortly after the arrest, the police called some of his friends and asked about her son’s behavior at the university. Six months later, Ratnaraja said one of her neighbors, A. Rajaratnam, met with and spoke with her son at Anuradhapura prison. But she has not heard from him again in eight years. “If my son is alive he will take care of my family, and his other siblings,” she added. Without answers, the mothers say all they have left is hope. Since they began their protest in February, five of their members have died of heart attacks and other health complications. “We have to get the answers,” said Leelathevy, one of the association’s senior coordinators. “Whether they protest for 300 days or 500 days, it doesn’t matter,” she said. 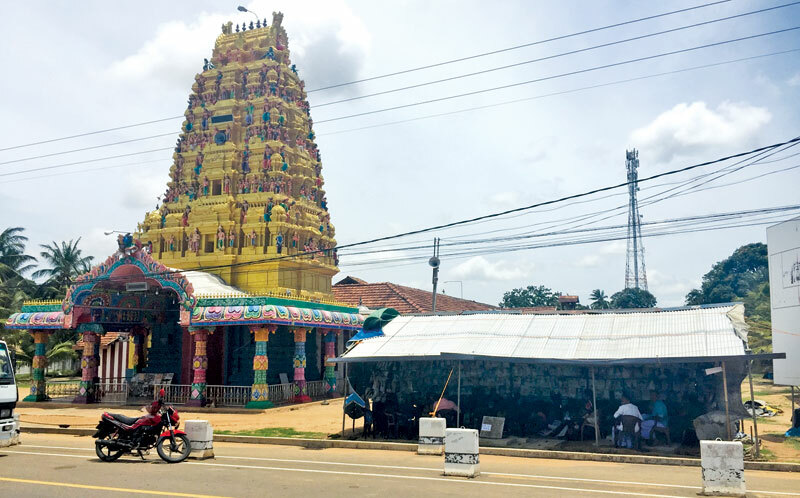 On their 100th day of protest, the mothers called a massive demonstration and hundreds of people took to the streets and blocked the A-9 in Kilinochchi. After that, members of the association met with President Maithripala Sirisena in person. He promised to release a list of all those who surrendered to the armed forces in the final days of the war. In the time since, President Sirisena has also operationalized the Office of Missing Persons, an official body that would help families trace the fate of their loved ones. In an interview Tuesday, National Integration and Reconciliation Ministry Secretary V. Sivagnanasothy said that the country’s Constitutional Council is in the process of nominating seven councilors to head the office. “After that, it will finally be appointed by the President,” he said. Sivagnanasothy also said his ministry is working to compile the list of people who surrendered at the end of the war. But for now, the mothers in Kilinochchi say are still waiting to see that list, to go before the fully-formed Office of Missing Persons and to get the answers they’ve fought so hard for. Yogaraja, the group’s president, said that politicians, even elected Tamil politicians, have lost sight of their pain. They hope that their struggle, sitting every day and sleeping every night in the harsh elements of the hot northern province, will wake up those in power. “They are enjoying their life and we are crying here in this place,” she said.